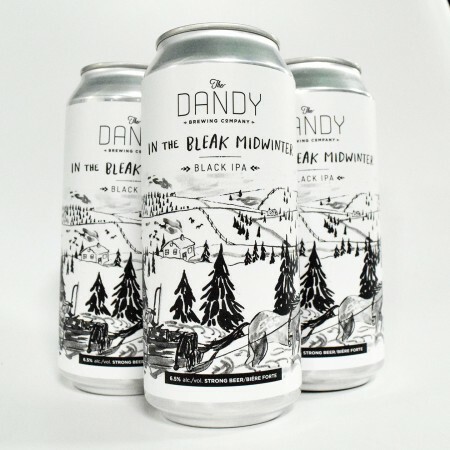 CALGARY, AB – The Dandy Brewing Company has announced its plans for the month of December, including several beer releases and a special holiday event. Coming on December 11th is the return of In the Bleak Mid-Winter, a seasonal brand described as “featuring upfront citrus hops, pleasantly deceiving in its black color but sunny flavor profile.” It will be available in 4-packs of 473 ml cans. Following on December 15th at the brewery is the first annual Dandy Fest, a holiday celebration running from 12:00 noon to 12:00 midnight, and featuring live music, DJs, special guest beers, and two Dandy releases: I’ve Been to a Marvellous Party, a new Pink Guava-Brut IPA; and The Julia, a Peach Cobbler Sour returning for its 4th annual visit. Tickets to Dandy Fest are $5 and can be purchased in advance at the brewery taproom.